How many electrical appliances do you have in your home? Hundreds probably. Yet in our grandparents’ or great grandparents’ time there would just be a few basic devices for heating, lighting and cooking. Here is just a small selection of the appliances represented in our museum. SWEHS000092.jpg – Date c1935 – You can see a variety of appliances by Belling, Sadia and others in this demonstration scene. On the table, the price of the hotplate was 94 pence in modern money, and the toaster was £1.05. The fitted water heater in the corner used to cost £14.25. 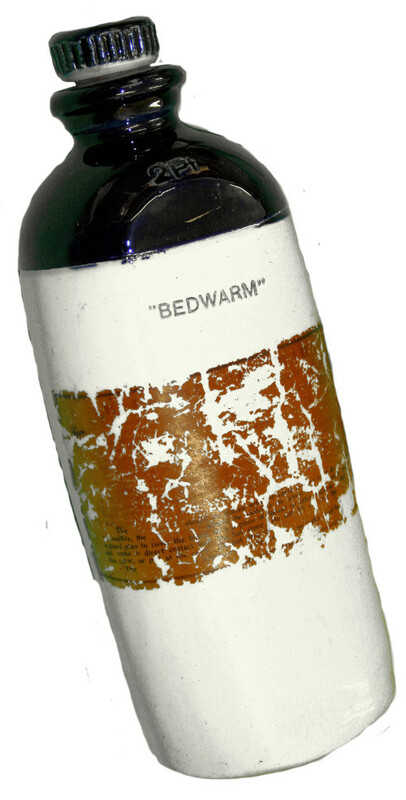 SWEHS000001a.jpg – Date 1920’s – Manufacturer unknown “Bedwarm” Screw top for refilling water. No electric blankets then, and very few houses would have central heating. SWEHS000120b.jpg – Date c1930 – British Thomson Houston (BTH) Monitor Top, also known as Beehive. 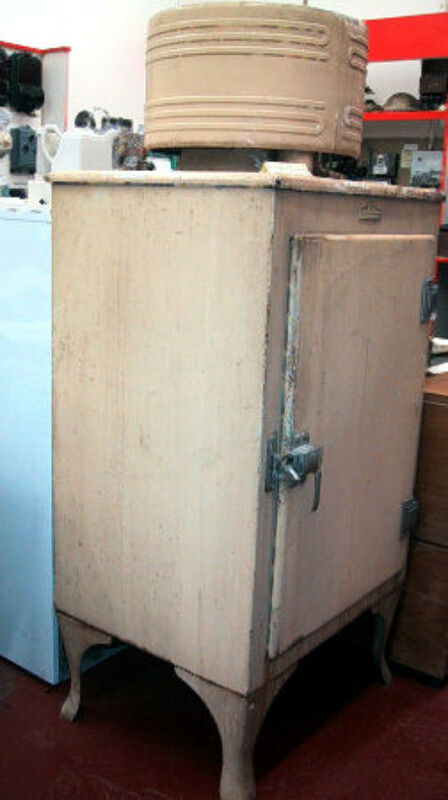 This is an American design with the cooling unit on top based on the General Electric Monitor Top refrigerator of 1927. It was named after the American Civil War ironclad gunship, USS Monitor. In earlier versions the sides of the cooling unit were perforated, giving rise to the nickname ‘Beehive’. Worldwide sales reached around 1m and various versions were in production until 1937. It had a design life of 25 years and came in lurid colours. Later refrigerators had the compressors housed in the bottom of the cabinet and the legs disappeared. This unit was made in England by BTH. 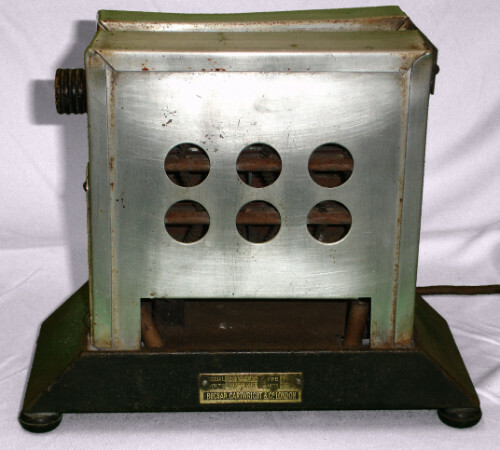 SWEHS000273a.jpg – Date c1915 – Buchan, Cartwright & Co. Ltd., London Type M2 Deluxe toaster. Toast was a staple of the UK diet then, as now. SWEHS000573b.jpg – Date c1950’s – Campion Electric Corporation (CRVTC Ltd), Seaford, Sussex ELECOOKER. A small cooker for places where space was at a premium. SWEHS000575.jpg – Date 1950/60’s – Prilect iron. 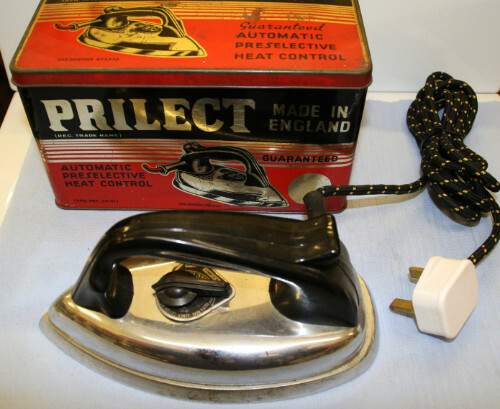 A compact iron for the modern home. 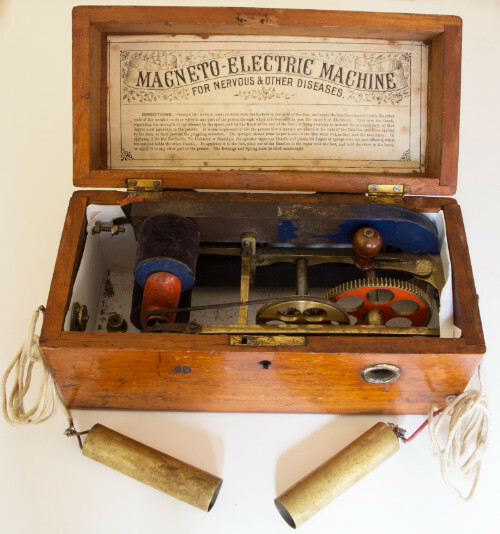 SWEHS000098a.jpg – Date c1850/1910 – Magneto Electric Machine For nervous and other diseases. It was used in ‘electrotherapy’. Effectively it is an electric shock machine. 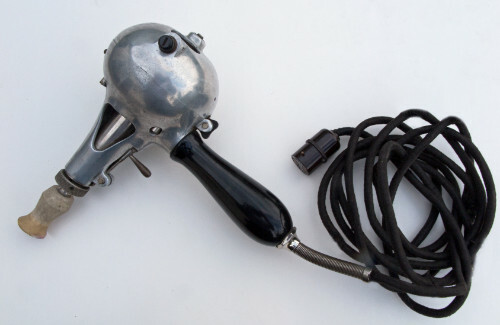 In the era before regulation of medical devices, many were sold for domestic use. 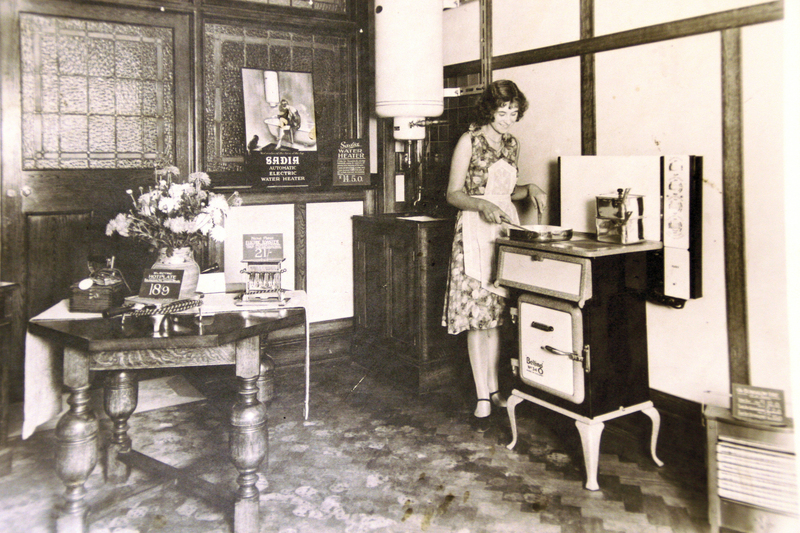 SWEHS000019.jpg – Date c1910 – Apollo Dowsing Sausage heater. The electric filament lamp was considered inefficient because far more energy was converted into heat than produced light. H J Dowsing designed a heating lamp in 1896 with a frosted glass envelope. It had a 250w carbon filament which gave off no light except a warm red glow. 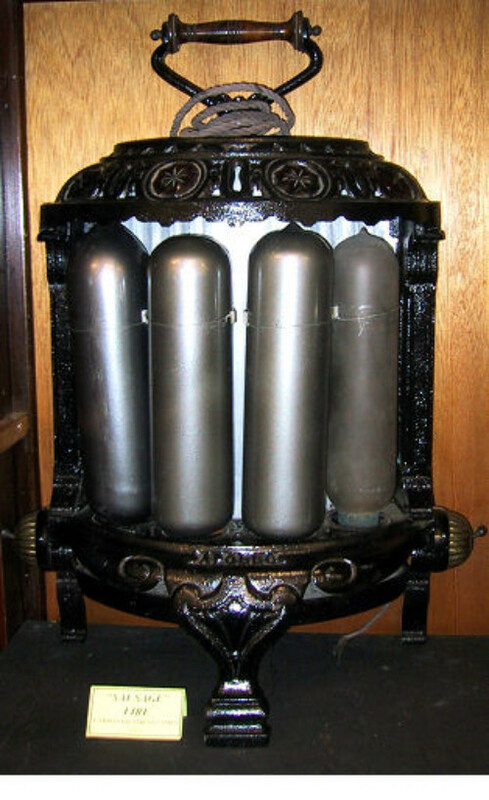 These were the first practical heaters. 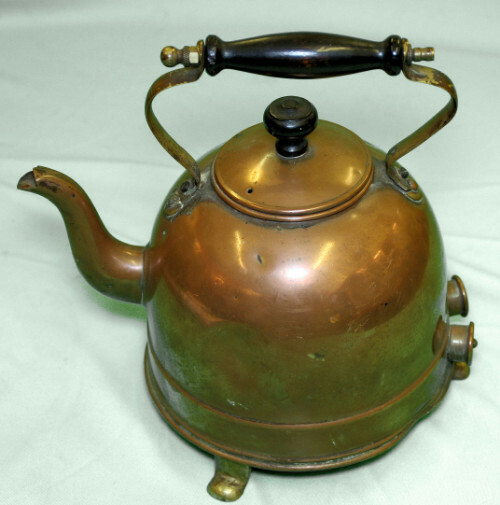 SWEHS000078b.jpg – Date c1915 – Premier, Birmingham Pattern 2648 kettle. It’s never too early for a cup of tea! Dis this page interest you? 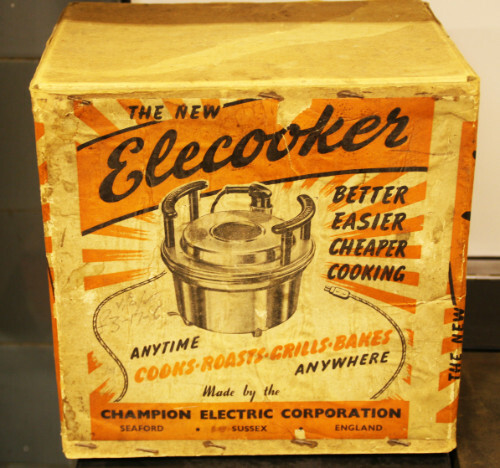 Have you considered writing an item about your family “electrical” memories for our magazine Histelec News, or a longer piece as a Research Supplement? … will be added in due course.